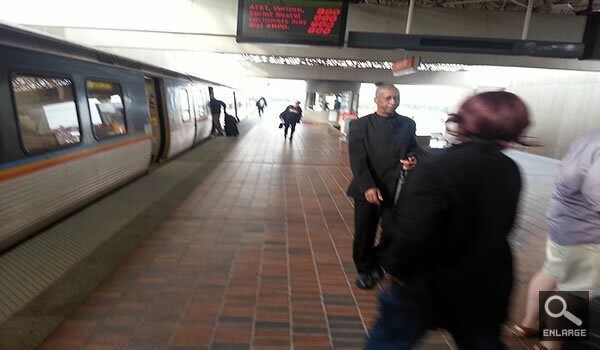 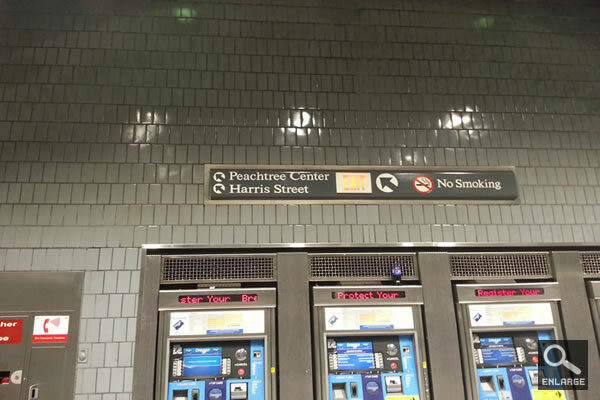 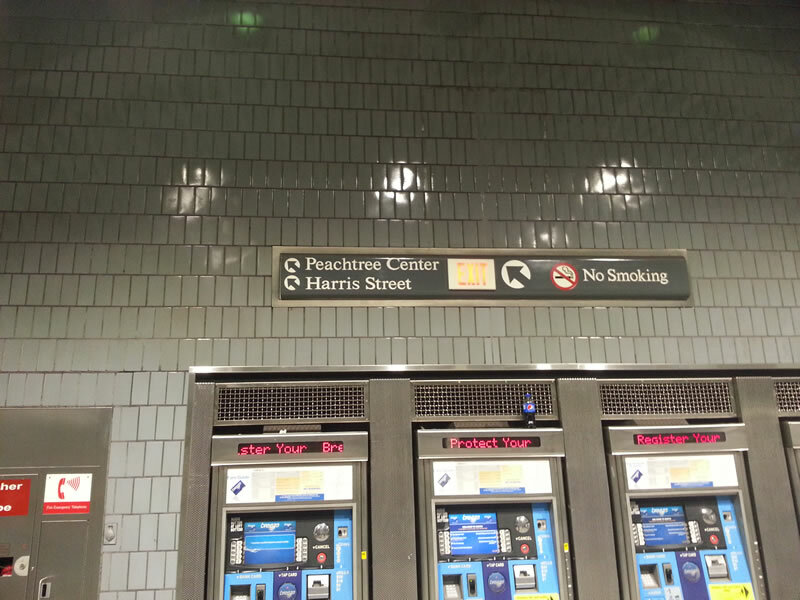 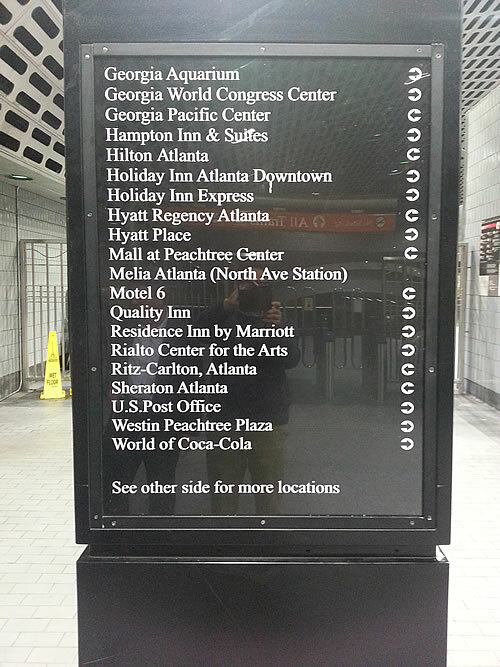 After getting out of the gate, follow the Ground Transportation signs to MARTA. 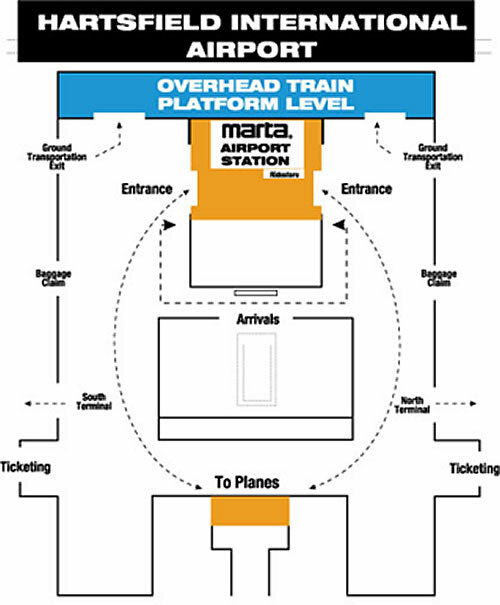 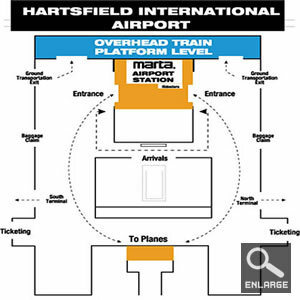 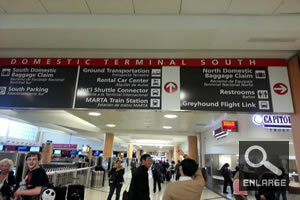 The entrance to MARTA's Airport Station is located inside the western end of the airport's main terminal. 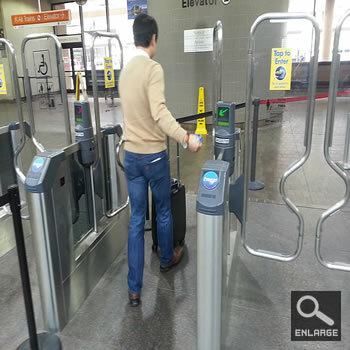 Faregates are just a few feet from the baggage claim areas. Follow the signs, they are plentiful. 2. 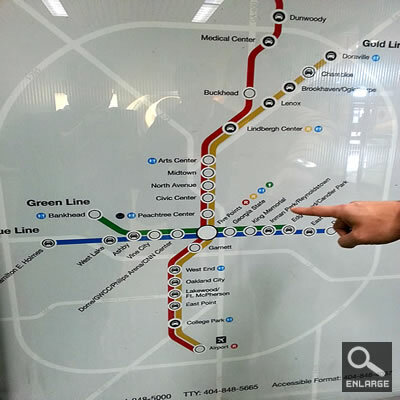 Check out Rail Map at Faregate: You can take either RED or GOLD line to get to the Peachtree Center station where Hyatt Hotel is located – eight (8) stations from the Airport station. •	Fares are loaded onto a Breeze Card (한국의 교통카드와 동일; $1 추가비용) /Ticket and can be paid with cash or debit/credit cards at Breeze Vending Machines or RideStores (see 3.3 How to reload Breeze Card). 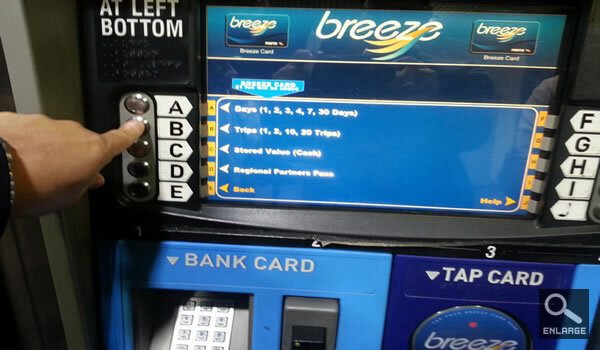 •	Only cash can be loaded onto Breeze Cards on buses. 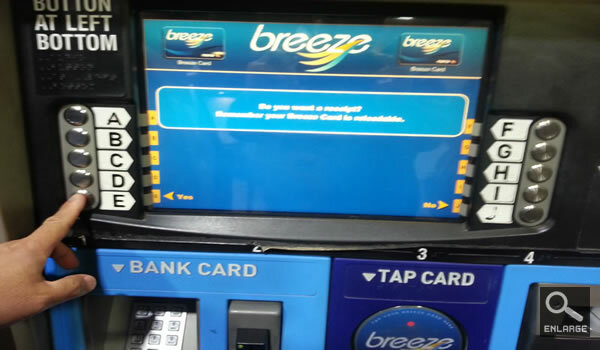 •	If you pay with cash on a bus you will still need a Breeze Card/Ticket to receive your transfer. •	Transfers are free when loaded onto a Breeze Card/Ticket upon tapping to board a bus and/or exiting the train station. 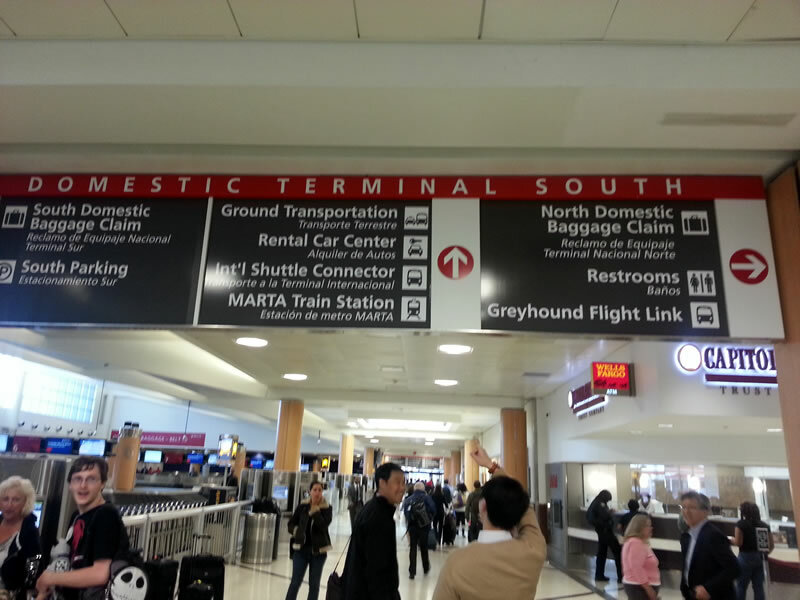 Up to four transfers can be made within a three hour time period. 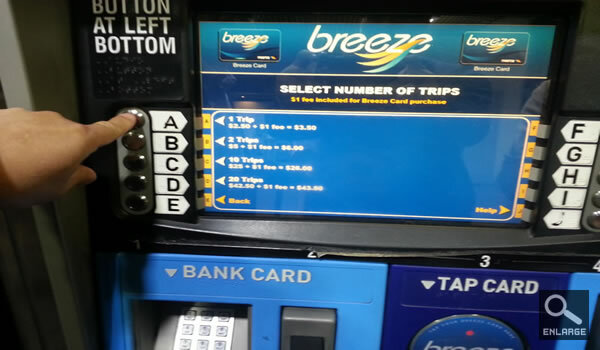 1)	Get a Breeze Card or Ticket. 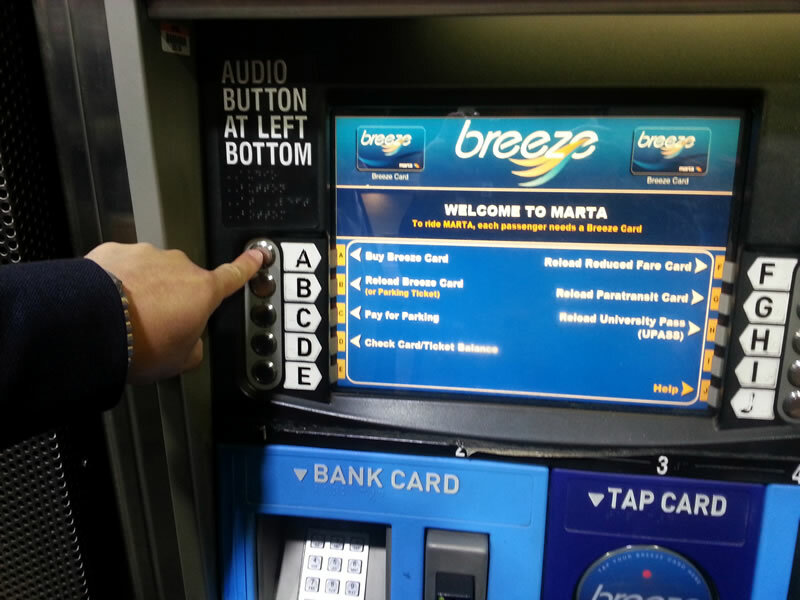 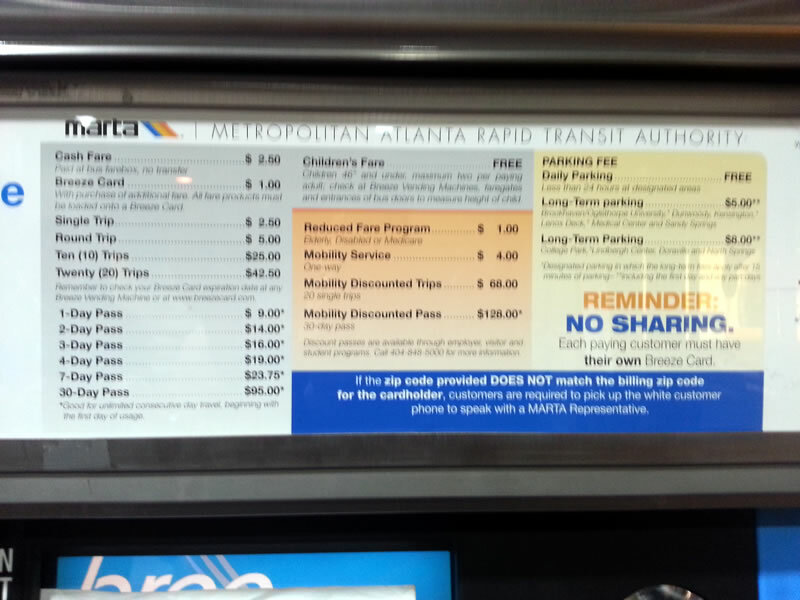 Available at any Breeze Vending Machine at MARTA stations or RideStores. 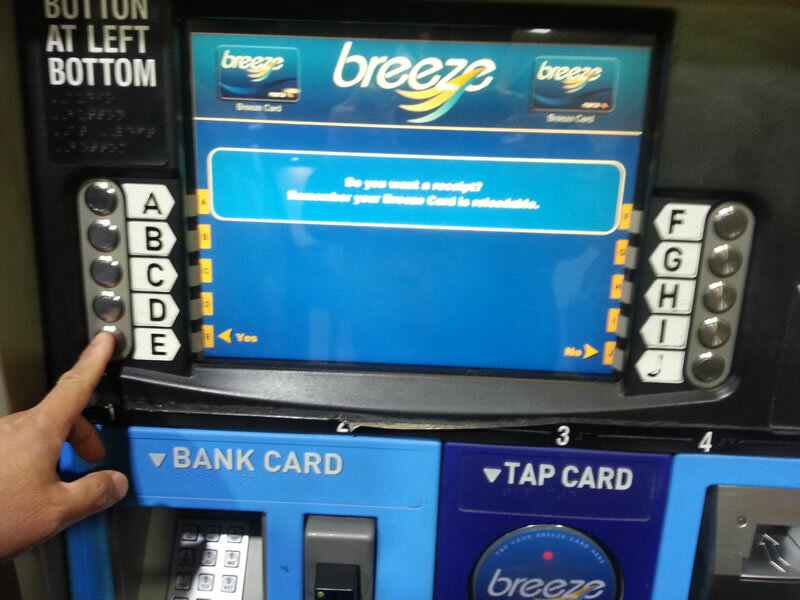 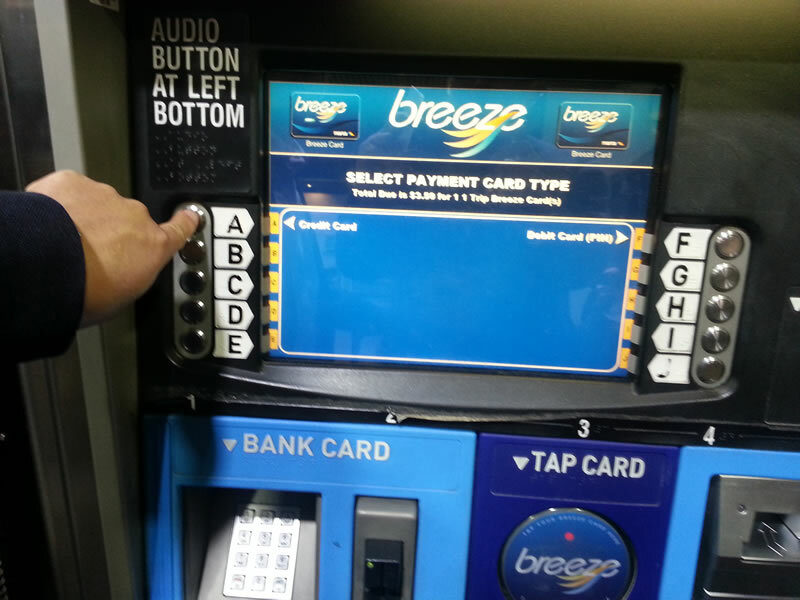 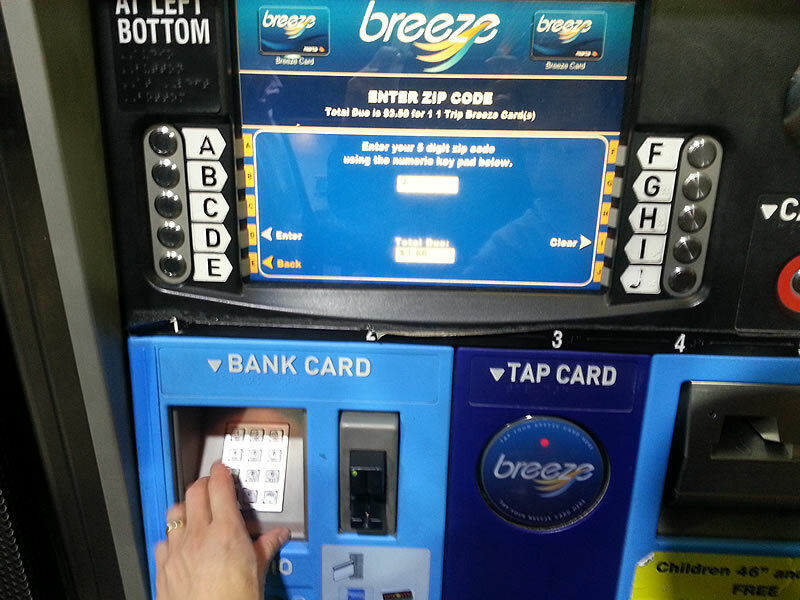 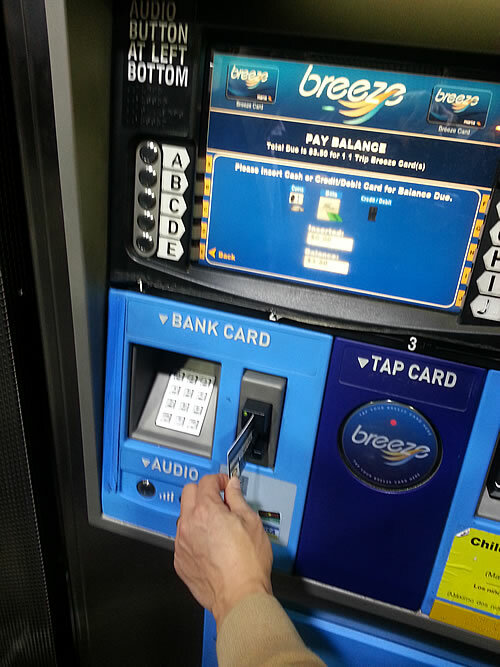 2)	Press "A" button to buy a Breeze Card, and the press "A" button again to select a Breeze Card. 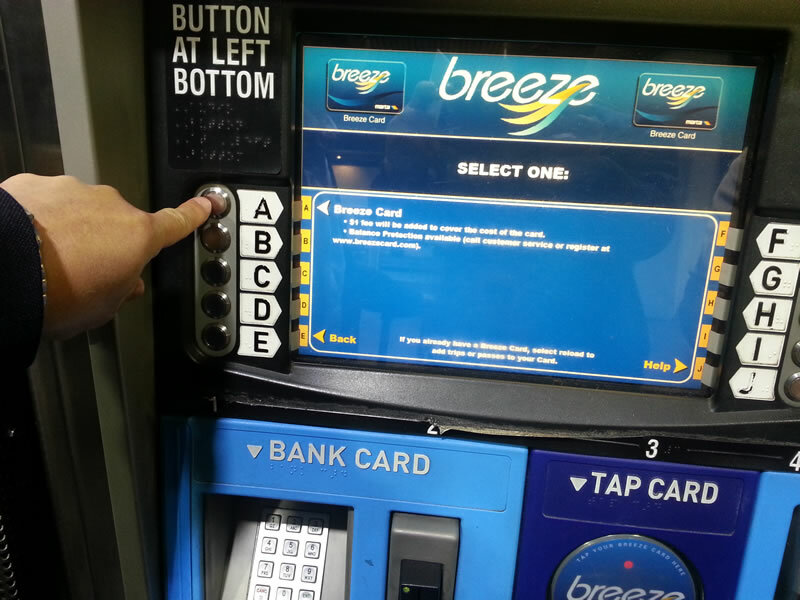 4-1)	If you inserted your credit/debit card, then press "A" (Credit) or "F" (Debit) to select payment card type. 5)	Tap your Breeze Card or Ticket on the blue target to pay your fare on the rail. 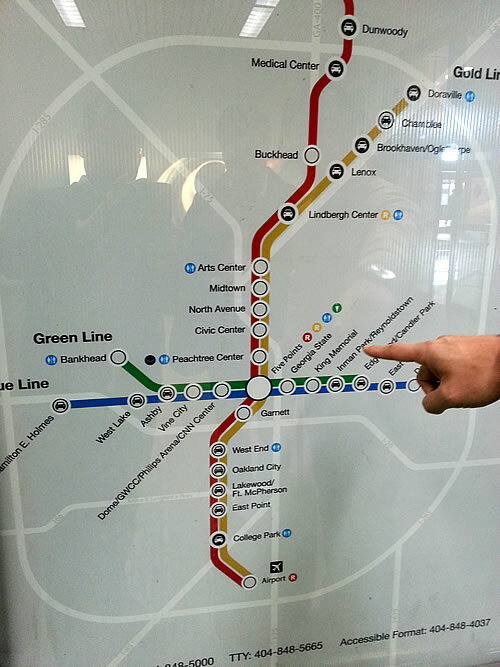 7)	Take the northbound train to the Peachtree Center Station stop (either RED or GOLD line), one stop north of the Five Points transfer station, and eight stops from the Airport station. 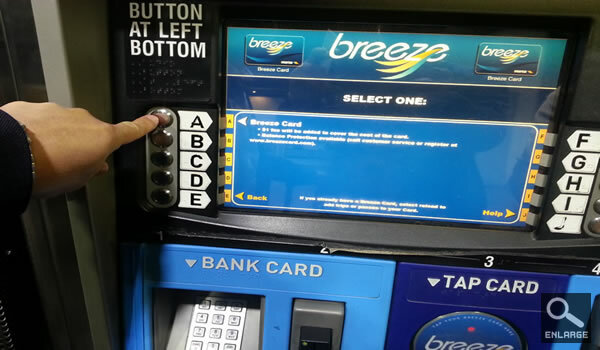 8)	Tap on the blue target to exit train station. 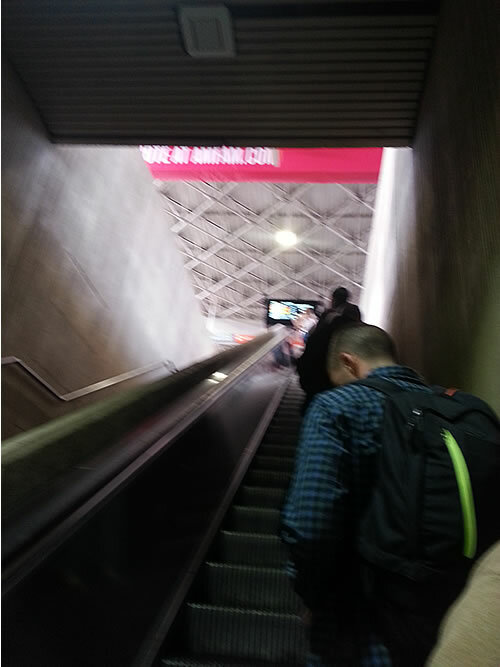 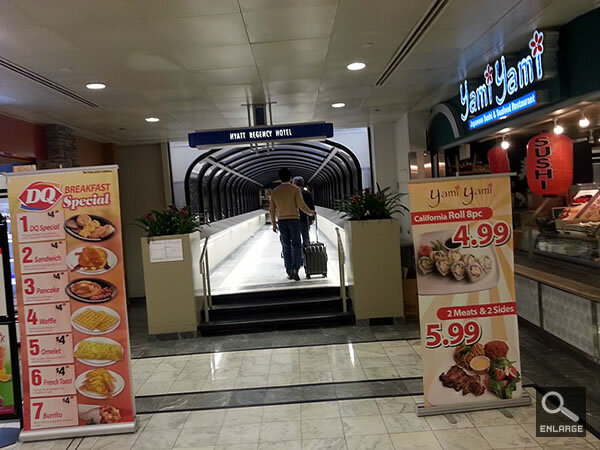 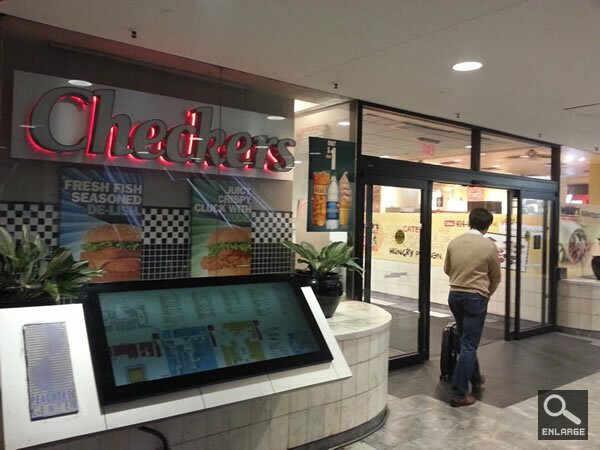 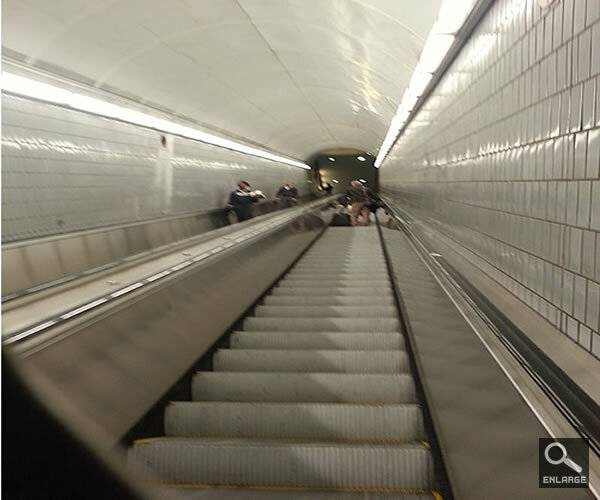 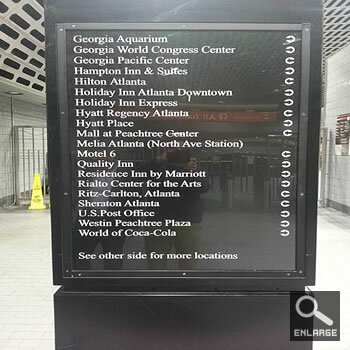 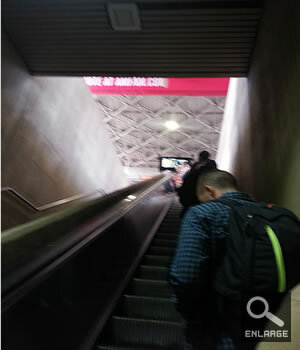 11)	Take the escalator up towards Peachtree Center Mall. 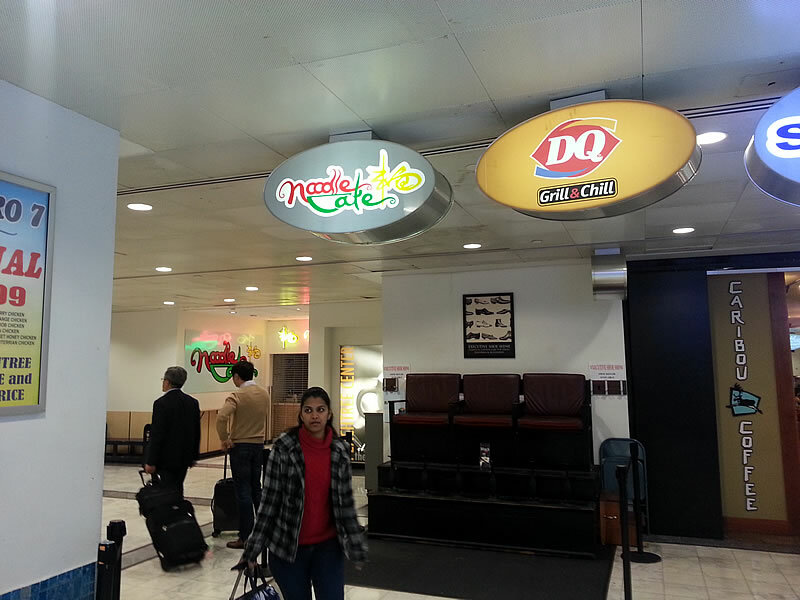 Once inside the mall, follow the signs to the covered walkway into the hotel.